SNAFU! : USMC F-35 performance at Red Flag not what we were told? USMC F-35 performance at Red Flag not what we were told? 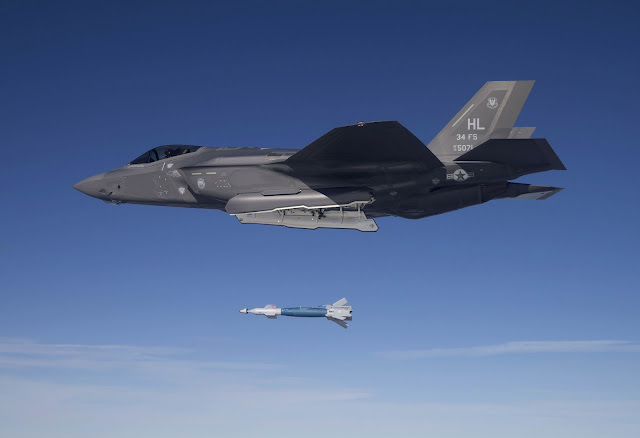 A reading between the lines would seem to prove Marine F-35Bs were still far from ready for actual combat a year after the service declared the aircraft had achieved initial operational capability (IOC). It's especially enlightening to read after the Air Force's impressive claims about its own F-35As at Red Flag 17-1 in February 2017, where pilots reportedly racked up an impressive kill ratio of 15-to-1, a figure that was later revised to 20-to-1. Interesting. What else does the article have to say? The whole story is here..read the article before you comment!